Can a professional agency help you capture individual giving? Before we start on the question of how to secure individual donors for your organisation, you need to ask yourselves a basic question, ‘Do individuals give enough donations?’ If you think you are beyond asking yourself this question and have successfully raised money from individuals, then please skip the next paragraph. If you are not in the former category, do read the next paragraph very carefully. In the United States, the most advanced fundraising market, more than 80 per cent of the contributions are made by individual donors. The story is much the same in the United Kingdom, another fairly advanced market, where 75 per cent of the total resources are again contributed by individuals. Australia also raises 78 per cent from individuals. Closer home, the big fundraising organisations in India like CRY, Give India and HelpAge raise up to 90 per cent of their resources from individuals. In other words individuals may appear to give small, but as a collective the pot becomes huge. Since you have reached this paragraph, you surely know that individuals are the prime target for donations, irrespective of whether you learnt the fact here or knew it before hand. Just in case your next thoughts are about how one gets individual donors, then fortunately you are at the right place. This is what I am going to talk about now. Talk to individuals on streets… Can you? The individuals around you are plenty, especially if you live in India. If you are based in a big city, then a big chunk around you are donation-suspects i.e. they can make donations. But you could not possibly stop them on the streets or go from one household to other asking for donations. The very thought sounds crazy. But isn’t this the way temples in your neighborhood raise money? Well, if they can, why not the voluntary organisations? In fact GreenPeace raise most of their resources in India and other countries by stopping people and asking them to contribute in the streets. For more than eight years CRY has been sending its people to offices and homes to solicit donations. Oxfam, HelpAge, Action Aid and UNICEF have also joined the party recently. This method is called face-to-face fundraising. Let me ask you something. How did you send written messages to your friends before the advent of email and SMS? It was through those seemingly pre-historic hand-written letters. If that worked for sending messages, it should work for raising money if done selectively and carefully. I am talking about direct mail appeals. There are a few dos and don’ts and learning process to direct mail that one discovers as one ventures into it. Do you wonder when you get those pesky telephone calls trying to sell you things from credit card to holidays, that if at all this kind of approach works at all? Well if it did not, no body would have been doing it in first place. That leads us to the point that if it works for credit cards then it should work for soliciting donations. And it does. There are so many organisations that use telephone as a tool for fundraising. In India sending a field executive to complete the donation transaction (and increase the chances of donation) is called tele-facing. Major organistions that use tele-facing include CRY, UNICEF, Plan and Oxfam. A newer tool of fundraising is not surprisingly called New Media. This involves the Internet, email, SMS, on-line advertising, managing search on engines like Google etc. Often, it is also coupled with traditional advertising on television and print. This combination is christened the digital medium of fundraising. What ever tools you have read about in the paragraphs above are collectively referred to as direct marketing. Direct marketing involves lot of work. It sure is, fundraising from individuals although the most sustainable source of income needs hard work and some seed capital. Do not get alarmed at the mention of seed capital. Think back and ask yourself if the last new project started by your organisation needed any seed capital? Fundraising is no different. Will I need an army of people to start raising money from individuals? That depends on the strategy you adopt. If you want to use the entire width of direct marketing tools, then surely you need people. But do not despair as there are now options in the form of outsourcing. Yes, you read it right, today there are specialist agencies in India who could help you in raising funds and that too very successfully. A question that you may ask yourself here is if your organisation really needs to outsource. In the Indian scenario if you are a voluntary organisation with limited budget, low on direct marketing expertise and no or small team, then outsourcing surely makes sense for you. The outsourcing here does not mean that you hire an agency and then forget about everything. On the contrary, it is about a close relationship with the agency working for you. An organisation needs to monitor and support this relationship very closely! So what are the services you would need from these agencies? Well there are categories to it. On the broadest level are agencies that will help you with your individual fundraising strategy. This is important as you may not be able to do everything. Most of the agencies of this type also help yout to outsource some parts of fundraising. On the next level are the agencies that specialise in a particular tool and raise money for you for a fee. 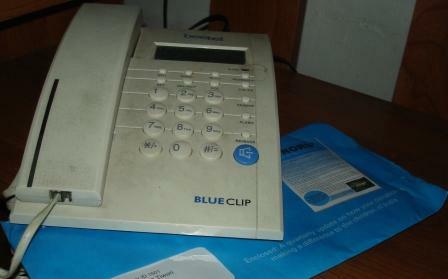 The two prominent tools where such agencies exist are face-to-face fundraising and tele-facing. (Please see the table for name of the agencies). Besides, there are agencies that provide lists for direct mailing, help you in designing and producing your direct mailer, handling the mailers, posting them and more. There are also the ones that will help you in designing and marketing your on-line fundraising campaigns. Professional agencies have expertise which can be used by voluntary organisations. Yes, they do charge a fee, but your work is done by a professional and you may end up spending less time which is again money!. The biggest advantage with certain agencies, especially in tele-facing and face-to-face, is that you pay after you get the donations. So you do not pay if there are no donations. Still not interested? 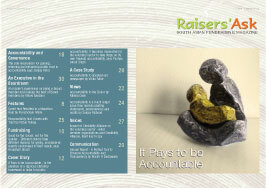 The only fundraising magazine in India has gone digital. Now it can be read online, but we would miss the ink and paper form. Click on the link below to read the latest edition. Dear small but lovely group, it was fun interacting with you all at 21st South Asian Fund Raising Workshop in Agra. As promised, here is my presentation. View more presentations from anuptiwari.